Nanotechnology Now - Press Release: Feynman Prize Winners Announced! Home > Press > Feynman Prize Winners Announced! 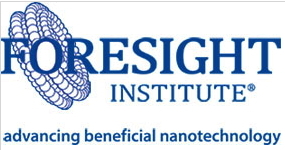 Foresight Institute, a leading think tank and public interest organization focused on molecular nanotechnology, announced the winners for the 2014 Foresight Institute Feynman Prizes. These prestigious prizes, named in honor of pioneer physicist Richard Feynman, are given in two categories, one for experiment and the other for theory in nanotechnology. Established in 1993, these prizes honor researchers whose recent work has most advanced the achievement of Feynman’s goal for nanotechnology: the construction of atomically-precise products through the use of productive nanosystems. Dr. Amanda S. Barnard, Science Leader of Australia’s Office of the Chief Executive (OCE), The Commonwealth Scientific and Industrial Research Organisation (CSIRO), received the Theory Prize. Using entirely theoretical and computational methods, Dr. Barnard has spearheaded understanding of the structure and stability of carbon nanostructures, and the role that shape plays in establishing the properties and interactions under different conditions. Although she has made numerous important contributions to the modelling of graphene, nanotubes, and diamond nanowires, it is her work on diamond nanoparticles (nanodiamonds) that has the greatest impact in the area of molecular nanotechnology. The Foresight Institute Feynman Prize for experimental work was awarded to Dr. Joseph W. Lyding, Professor at the University of Illinois, Department of Electrical and Computer Engineering and Beckman Institute. Dr. Lyding is a pioneer in the development of scanning tunneling microscope (STM) technology and particularly hydrogen depassivation lithography. While many other STM practitioners have used the tool to do atomic and molecular manipulation of atoms and molecules on surfaces, hydrogen depassivation lithography is a generic patterning technique using a resist that allows pattern transfer to enable many different types of structures and functionalization of surfaces, all while maintaining atomic resolution and precision. Foresight Institute is a leading think tank and public interest organization focused on transformative future technologies. Founded in 1986, its mission is to discover and promote the upsides, and help avoid the drawbacks, of nanotechnology, artificial Intelligence, biotechnology, and similar life-changing developments.